The University of Central Florida appears in our ranking of the 10 Best Online Colleges for a Master’s Degree in Hospitality. The Rosen College of Hospitality Management at the University of Central Florida (UCF) is continuously expanding and upgrading its facilities to provide a world-class education from bachelor to doctoral levels. The undergraduate program culminates in the Bachelor of Science in Hospitality Management and requires 120 total credit hours, 36 of which are university general requirements. The remaining hours consist of one intro course, the 40-hour hospitality core sequence, five advanced core classes, and three internships. The final 20 credit hours consist of electives chosen from an extensive list of over 35 options including courses like Exploring Wines of the World, Exhibit and Trade Show Operations, Culture and Cuisine, and Tourism Geography. Instead of selecting their own electives, students also have the option of following one of four designated specialty tracks which are Theme Park and Attraction Management, Golf and Club Management, Lodging Management, and Professional Tennis Management. Graduate students in the Master of Science in Hospitality and Tourism Management program can complete the program entirely online if desired. Graduation requirements are basically the same as the on-campus version, but the virtual curriculum does not offer as many choices for electives. The program has six required classes including Financial Analysis of Hospitality Enterprises and Data Analysis in Hospitality and Tourism Research. After this, students need 15 more credit hours which can be achieved by taking five electives. Alternatively, on-campus students have a thesis option consisting of Research Methods in Hospitality and Tourism, a six-hour thesis course, and two electives. UCF also offers a unique dual degree that combines a hospitality M.S. with an M.D. Medical students typically finish the master’s in one year, between the second and third years of medical school. The program is identical to the non-thesis option above, and students learn to apply hospitality theories and techniques to their future medical practice. Finally, the University of Central Florida does offer a terminal degree in the field. The Hospitality Management Ph.D. program adds an additional 58 credit hours of advanced study after completion of a master’s degree. Fifteen of these hours consist of dissertation research and writing. The rest of the course work includes Advanced Research Methodology, Strategies and Tactics, and Case Studies. 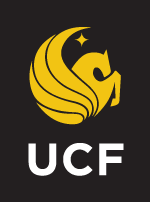 The University of Central Florida, a public university located in Orlando, currently enrolls over 65,000 students in 220 different degree programs. The school has grown significantly since it opened its doors with only 2000 students in 1968. UCF’s founding was a direct response to President John F. Kennedy’s directive to put a man on the moon, and being a space-grant school, degree programs were limited to the science and engineering-related disciplines. Over the next couple of decades, the academic offerings diversified, but the spirit of discovery and inventiveness remained. In fact, the U.S. News and World Report ranked the University of Central Florida tenth on its list of most innovative schools in the United States. This trail-blazing spirit has permeated through all departments including the Rosen College of Hospitality Management which CEO Magazine ranked the 5th best hospitality and hotel management school worldwide in 2018. The Southern Association of Colleges and Schools Commission on Colleges (SACSCOC) conducts regular reviews of colleges and universities in the southeastern United States. This region includes Florida, and UCF first achieved accreditation by the SACSCOC in 1970. The review process is continuous with each cycle lasting 10 years. There are a variety of factors that the commission evaluates ranging from finances to faculty and curriculum to campus culture. In addition, during each cycle, the university submits a report documenting its commitment to self-improvement. This includes identification of a problem, design and implementation of a solution, and an analysis of the results. Besides attaining undergraduate admission to the University of Central Florida, there are no additional requirements for the Rosen College of Hospitality Management. Freshman applicants to UCF need to fill out the application online and request that official transcripts and ACT or SAT scores be sent. A personal essay is recommended but not required. For fall admission, UCF must receive all materials by May 1st, and for spring enrollment, the deadline is November 1st. The application process for the master’s program is more involved requiring a professional resume, three letters of recommendation, and a 500-word goal statement in addition to official transcripts from all prior post-secondary institutions. The requirements are the same for both the online and on-campus programs as well as the M.S./M.D. Applicants have the option of submitting GRE scores to bolster their applications. For the doctoral program, the GRE is required as is the completion of a graduate degree in a similar field. Other than that, the Ph.D. program requirements are the same as the master’s application. The University of Central Florida prides itself in keeping tuition rates low, especially for in-state students. For residents of Florida, undergraduate tuition and fees total $212.28 per credit hour, while out-of-state students can expect to pay $748.89 per hour. The totals for on-campus graduate programs are $369.65 and $1194.05 per credit hour for residents and non-residents respectively. In-state tuition for the online M.S. 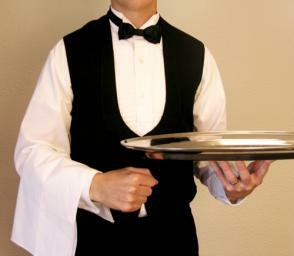 in Hospitality Management is $327.32 which nearly doubles for students who are not Florida residents. For assistance with funding options, students meet with financial advisers who can direct them to scholarships and campus jobs and also explain the different types of student loans and federal grants. Undergraduate students use UCF’s A2O portal to search and apply for university-related scholarships that match their qualifications. Many students attending graduate school concurrently hold professional jobs and often utilize tuition reimbursement programs offered through their employers. Sometimes companies will cover all or part of tuition costs, especially if the student is studying a related industry. Other companies will help pay for student loans after graduation. Master’s and doctoral students can apply for assistantships which decrease tuition in exchange for work as a TA or researcher or for fellowships which have no work requirements. Faculty and staff in the University of Central Florida hospitality department are available to address any concerns and questions about the program, admissions process, scholarship options, or the industry as a whole.